DAVID LE/Staff photo. 2/19/15. 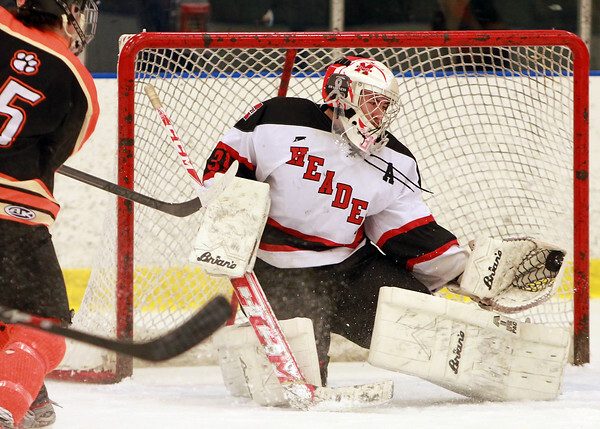 Marblehead senior goalie Mark Scribner (31) makes a glove save on a point blank shot from Beverly senior captain Jesse MacLaughlin, left, during the first period of play.